Top model Gigi Hadid lands on the cover of Vogue Australia‘s July 2018 edition captured by fashion photographer Giampaolo Sgura. 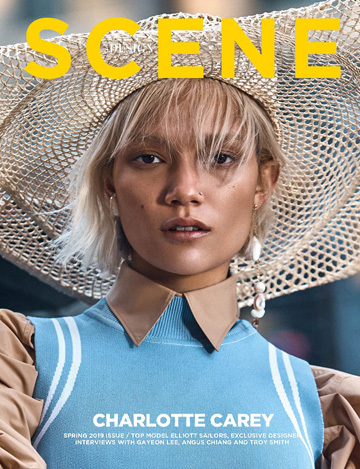 In charge of styling was Christine Centenera, who for the cover selected look from Calvin Klein. Beauty is work of hair stylist Peter Gray, and makeup artist Gucci Westman. “In December I took a vacation and didn’t go on my phone for a week and just turned it off. It’s like it literally didn’t exist. When you’re in that social media bubble it feels so heated and flammable and then when you step away from it, it just gets lost in the clouds. You can take a walk, or do something that’s so much more real than reading all of that. Sometimes it’s funny to me how much energy people put into other people’s lives.” – Hadid for Vogue Australia, on social media addiction.